We reconstruct how the NRA advanced two measures long on its agenda in the wake of the 2007 Virginia Tech shooting. Last week, President Obama unveiled sweeping proposals on gun control, including a ban on military-style assault weapons, a reduction of ammunition magazine capacity and stiffer background checks on gun buyers. 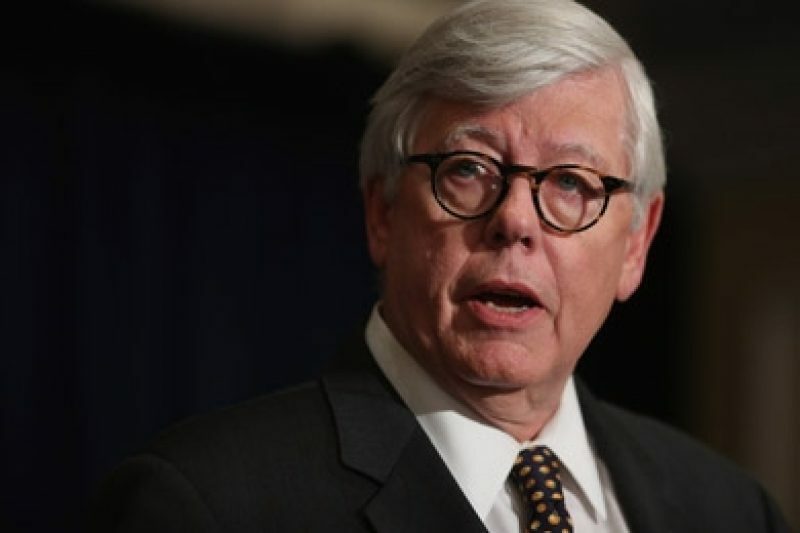 National Rifle Association President David Keene quickly accused the Obama administration of being opportunistic. The president is "using our children to pursue an ideological anti-gun agenda," he said. The NRA has already begun to lobby on Capitol Hill to counter the administration's effort. To get a sense of what the NRA might do, it's helpful to look at how it scored a victory during the last major federal initiative to tighten gun control. After a Virginia Tech student killed 32 students and faculty in April 2007, the Bush administration proposed legislation that would require all states to share the names of residents involuntarily committed to mental health facilities. The information would be provided to a Federal Bureau of Investigation database. The idea, in part, was to help gun dealers get important information about whether potential customers were mentally ill. In order to get the support of the NRA, Congress agreed to two concessions that had long been on the agenda of gun rights advocates — concessions that later proved to hamstring the database. The NRA wanted the government to change the way it deemed someone "mentally defective," excluding people, for example, who were no longer under any psychiatric supervision or monitoring. The group also pushed for a way for the mentally ill to regain gun rights if they could prove in court that they'd been rehabilitated. The NRA found allies on both sides of the aisle to champion the concessions. The NRA agreed to the support the bill, in exchange for provisions pushing states to create gun rights restoration programs. Here's how it worked. It would cost money for states to share their data: A state agency would have to monitor the courts, collect the names of people who had been institutionalized, and then send that information to the FBI on a regular basis. So, to help pay for data-sharing Congress created $375 million in annual federal grants and incentives. But to be eligible for the federal money, the states would have to set-up a gun restoration program approved by the Justice Department. No gun rights restoration program, no money to help pay for sharing data. A spokesman for Dingell's office did not respond to calls for comment on this story. A McCarthy spokesman, Shams Tarek, said the congresswoman is now working on new legislation to "provide more incentives and stiffen penalties for states to put names in the database." "We definitely think there's a lot of room for improvement," said Tarek. The NRA supported Dingell and McCarthy's version of the bill, but the group won further concessions when the legislation reached the Senate. Sen. Tom Coburn, R-Okla., who once joked he'd like to bring a gun with him to the Senate floor, blocked the legislation, citing concerns about privacy and spending. He negotiated language that, among other things, would allow a person's application for gun restoration rights to be granted automatically if an agency didn't respond within 365 days of the application and allowed people to have their attorney's fees reimbursed if they were forced to go to court to restore their rights. The final bill was sent to President Bush for his signature in January 2008. Since the bill's passage, two analyses have shown that the NICS database has significant gaps, partly because of the way the NRA managed to tweak the legislation. Many states aren't sharing all of their mental health records. A July 2012 report by the Government Accountability Office, the investigative arm of Congress, found that while the overall number of records increased exponentially since the law passed, the rise is largely due to cooperation from just 12 states. 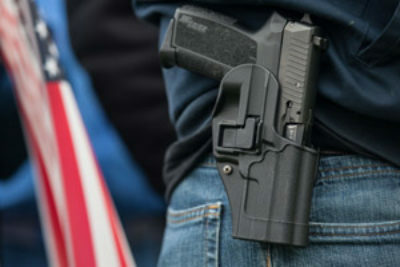 The non-profit group Mayors Against Illegal Guns also released a report in 2011 showing that many states have failed to fulfill their obligations to report data on the mentally ill to the federal government. While Virginia and a few others have disclosed tens of thousands of records, 23 others and the District of Columbia reported fewer than 100 records. Seventeen states reported fewer than 10 records and four submitted no data at all. "Millions of records identifying seriously mentally ill people and drug abusers as prohibited purchasers are missing from the federal background check database because of lax reporting by state agencies," the report said. According to the report, the reasons for such uneven compliance vary by state. Some states don't turn over data because their privacy laws prevent them from doing so. Some states have a different interpretation on what kind of data needs to be provided, or what, exactly, constitutes "mentally ill" or "involuntarily committed." Still others simply can't afford the expense of gleaning the data from the courts, providing it to the relevant state agency and then passing it on to the federal government. The NRA-backed language creates problems for these states. As a New York Times investigation found, many states haven't qualified for federal funding to share their data because they haven't established gun rights restoration programs. In 2012, only 12 states received federal grants, according to the Bureau of Justice Statistics. A Coburn spokesman pointed out that some states have had trouble setting up restoration programs because gun control advocates in those states have protested them. While mental health data has remained sparse, some states have made it easier for the mentally ill to restore their gun rights. As the Times noted, in Virginia some people have regained rights to guns by simply writing a letter to the state. Other Virginians got their rights back just weeks or months after being hospitalized for psychiatric care. It's difficult to know just how many people in Virginia have had their gun rights restored because no agency is responsible for keeping track. Despite the limitations of the mental health database, some gun control advocates still see it as better than nothing. "The fact that so many states have been able to get so many records into the database does demonstrate a willingness on the part of certain groups to work on this issue and that's a good sign. The others really need to step up," said Lindsay Nichols a staff attorney at the San Francisco-based Law Center to Prevent Gun Violence. The group, then known as the Legal Community Against Violence, was one of several gun control organizations that opposed the legislation when it was first signed into law. Nichols is optimistic that the NRA won't succeed in commandeering the gun control debate the way the group did after Virginia Tech. "I think there's new awareness among the public and legislators that we need to take this issue seriously and it's not an issue where the public is going to accept political wrangling."